The District, Chocolate City, the Nation’s Capital – whatever you like to call it, Washington, DC is one of America’s top destinations. Every year, DC welcomes around 20 million visitors and it’s not hard to see why. Beyond being the center of politics, it offers visitors and locals alike engaging experiences with history, a rich selection of arts and culture, and some of the country’s best dining options. Of these visitors, millions choose to stay in Montgomery County, Maryland for its convenient access to DC attractions and all the amazing, local fun that the county itself has to offer. You can also easily get to Washington, DC from Montgomery County via both ends of the Red Line on the Metrorail. Book a stay at one of the fantastic hotels in our area, perfect for whether you’re here for business or leisure. DC visitors love Montgomery County for its comfortable, laid-back nature in addition to quick access to the Capital. What’s more, they get the opportunity to explore the downtown and upcountry sights and sounds of neighboring Montgomery County. Stay in Montgomery County and enjoy delicious, award-winning cuisine in our many restaurant districts. The county also has tons of safe and affordable accommodations and activities. Families and groups love to break up museum visits with a nature hike through one of our many outdoor trails, especially at Great Falls National Park. Before your trip, don’t forget to download our Visitor’s Guide for more travel ideas and itineraries! 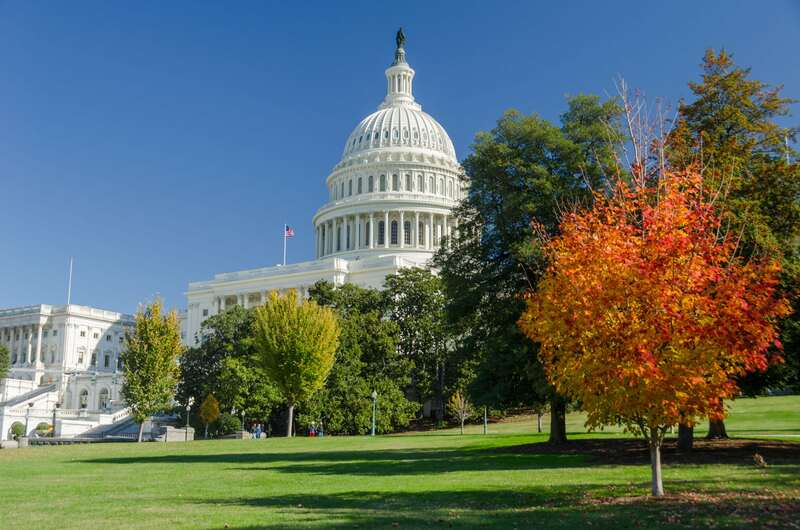 Visit Washington, DC, but stay in Montgomery County – Close. For Comfort! On your trip to DC, you can trace the same cobblestone streets as our Founding Fathers. Step into Ford’s Theatre or the US Capitol Building and feel the pivotal moments of our Nation’s history come alive. At nearly every corner, you will find yourself face to face with an awe-inspiring structure dedicated to our heroes – from the Washington Monument and Jefferson Memorial, to the Martin Luther King Jr. Memorial, and the National World War II Memorial. Washington, DC has a vibrant arts and culture scene and at the center of it is the Smithsonian Institute. See masterpieces by renowned artists at the National Gallery of Art or the latest avant-garde works at the Hirshhorn Museum. If science is more of your thing, then be sure to stop by the Air & Space Museum, or the Museum of Natural History. While you’re at it, make your trip truly memorable with an evening performance at the Kennedy Center. In 2016, Bon Appetit magazine named DC its Restaurant City of the Year. It’s a recognition well deserved for the Nation’s Capital. DC is home to numerous Michelin-starred restaurants, including The Inn at Little Washington and Pineapple and Pearls. Looking for a great bite on a budget? Then, dine like a local with a chili dog with everything on it from DC landmark Ben’s Chili Bowl or a piping-hot bowl of authentic Japanese ramen from Daikaya. After, grab a nightcap at one of the bars lining the Adams Morgan, U Street, or Georgetown neighborhoods. Transportation around the city is super convenient. You can hop on the DC Circulator bus and, for just $1 per ride, travel along six routes designed for easy-on, easy-off access at different points of interest. Also, everything in the city is just a bike ride away. DC has a fantastic bikesharing program – Capital Bikeshare – with nearly 4,000 bikes and over 480 stations throughout the District, Arlington, Alexandria, and Montgomery County. Take out a bike, ride to your destination, and return it to any other station in the system. Or, catch a ride on the Metrorail or Metrobus. With lines and routes running throughout the city, you’ll be checking things off your itinerary in no time.